Gypsum is a mineral and is hydrated calcium sulphate in chemical form. 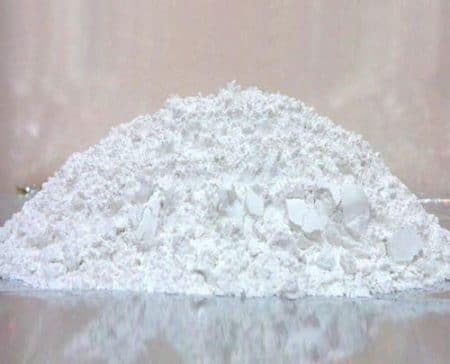 Gypsum plays a very important role in controlling the rate of hardening of the cement, so its is generally termed as retarding agent of cement. It is mainly used for regulating the setting time of cement and is an indispensable component. Gypsum is a naturally occurring mineral mined from deposits formed by ancient seabeds as a raw material. Composed of calcium sulfate and water, it is used for a variety of manufacturing, industrial, and agricultural uses. Its colour is white, Grey , yellow, red, brown. An important property of gypsum is that it is naturally fire-resistant. When is Gypsum added in the cement ? In the manufacture process of cement, clinkers are formed. These cement clinkers are cooled down and added with small amount of gypsum. The mixture then sent to final grinding process. For ordinary Portland cement it remains between 3 to 4% and in case of Quick setting cement it can be reduced up to 2.5%. The main purpose of adding gypsum in the cement is to slow down the hydration process of cement once it is mixed with water. The process involved in hydration of cement is that, when the water is added into cement, it starts reacting with the C3A and hardens. The time taken in this process is very less, which doesn’t allow time for transporting, mixing and placing. When gypsum is added into the cement and water is added to it, reaction with C3A particles tales place to form ettringite. This ettringite is initially formed as very fine-grained crystals, which form a coating on the surface of the C3A particles .These crystals are too small to bridge the gaps between the particles of cement. The cement mix therefore remains plastic and workable. The time allowed for mixing, transporting and placing plays a important role in strength, composition and workabilty of concrete. As gypsum retards the process of hydration, it is termed as retarding agent of cement. Gypsum prevents Flash Setting of cement during manufacturing. It retards the setting time of cement. Allows a longer working time for mixing, transporting and placing. When water is mixed to cement Aluminates and sulfates get react and evolve some heat but gypsum acts as coolant and brings down the heat of hydration. Gypsum cements possess considerably greater strength and hardness when compared to non gypsum cement. Water required in gypsum based cement for hydration process is less.